Aristocrat Technologies has launched its innovative VIRIDIAN Hybrid™ Stepper into selected European markets. The first wave of this new breed of gaming, combining the best of mechanical reels with video technology, incorporates five games spanning three different genres. “The VIRIDIAN Hybrid™ Stepper represents the ultimate fusion of Aristocrat video technology with the traditional mechanical reel games from our RFX™ Stepper lineage,” said Damien Greig, Product Manager responsible for the Europe, Middle East and Africa region. “Active Reel Technology™ uses LCD shutters to mask the reels and overlay them with stunning video animations, resulting in a seamless display of unique gaming entertainment,” he explained. Released at the beginning of September were two titles in the all-new UltraSpin™ range of games, bringing together this mix of mechanical reel game play and video bonusing in a fast-moving entertainment package. Diamond Destiny™ and Ruby Saloon™ host a symbol-triggered, four-level progressive jackpot bonus in a unique horizontal spinning reel feature. “Complete with traditional free games with extra video bonusing elements to boost player interaction and excitement, these games will add plenty of sparkle to gaming floors!” said Mr Greig. 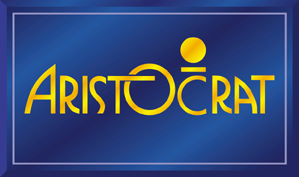 Rolling out at the beginning of October are Persian Prize™ and Pixie Riches™, part of Aristocrat’s magical Winning Wishes™ bonus bank library. With a triple progressive jackpot bonus feature, three common symbol driven features and unique free games features with video bonusing elements, the genie is sure out of the bottle, Mr Greig said of the Winning Wishes series. In addition to Active Reel Technology and an optional Nteractiv™ dynamic LCD button deck, ZORRO™ The Legend Returns sports a 32-inch LCD feature top box, interactive edge lighting and a sleek design. “As a defender of masterful play, ZORRO is a cut above with three standalone progressive jackpots, symbol-triggered progressive jackpot feature and four additional random bonus features. So if your floor is ready for epic action, this game is ready to ride again,” concluded Mr Greig. A total of 120 investors representing over 70 gaming, leisure and tourism organisations attended the first ever Casino Investors Congress, which took place at the five-star Batumi Sheraton last week. The investors, who travelled from 25 countries including the US, Russia, Macau, Austria, France, India, Portugal, Armenia and the United Kingdom, received senior level presentations outlining the government’s overall short- and long-term vision for the development of gaming and tourism in Ajara, and Georgia as a whole. Topics presented at the Congress included the current and future framework of gambling legislation and regulation, the development of tourism, as well as practical information on how to go about doing business in Georgia. Joining Levan Varshalomidze, Chairman of the Government of the Autonomous Republic of Ajara, as key speakers at the Congress were Jambul Ebanoidze, Deputy Minister of Finance and head of the Georgian Revenue Service; Nino Sharashenidze, head of Service Department, Georgian Revenue Service; Keti Bochorishvili, Vice Minister of the Economy and Sustainable Development, Georgia; Kakha Baindurashvili, Director, Georgian Chamber of Commerce; Giorgi Pertaia, First Deputy Director, Georgia National Investment Agency, and David Kikava, head of the Ajaran Department of Tourism and Resorts. The presentations were supported by case studies from leading hospitality and gaming companies already operating successfully, or in advanced stages of development in Batumi, including Liberty Gaming, Peace Casino and Groupe Partouche. Delegates also had the opportunity for one-to-one contact with all the speakers during networking events staged throughout the Congress. Casino operators, get ready to soil your plants. Spielo International is announcing the launch of four new exclusive licensed slot titles based on some of the world’s most popular casual video games. Spielo International and PopCap Games, a division of Electronic Arts, have entered into a licensing agreement and have developed slot games based on three internationally recognized PopCap franchises – Plants vs. Zombies™, Zuma™, and Bejeweled™. Four slot games based on the brands – including Plants vs. Zombies™ Gargantuar™ and Plants vs. Zombies™ Backyard Showdown™ – will be unveiled at Booth 1265 at G2E Las Vegas on Oct. 2, 2012. Don’t miss the morning launch as the rivalry between the plants and the zombies spills out onto the show floor. “Spielo International immediately recognized the strength behind PopCap’s casual games, which are known for their creativity, humor, and attention to detail. They’re played by billions of people worldwide, and appeal equally to both men and women,” said Spielo International President and Ceo Walter Bugno. Plants vs. Zombies Gargantuar and Plants vs. Zombies Backyard Showdown feature the Graveyard Bonus, where players pick tombstones, collecting suns to win one of three progressives and avoiding the brain-craving zombies. Plants vs. Zombies Gargantuar offers a plant/zombie scatter pay and random wilds in the base game, with the Vase Breaker Pick-a-Prize and Gargantuar Free Spins bonuses. Meanwhile, Plants vs. Zombies Backyard Showdown has a base game where plant symbols have special powers – just like the casual game! In the Who Will Win the Spin bonus, players win extra credits for guessing three correct spins in a row. Based on PopCap’s hugely popular ball-blasting game, Zuma features the familiar Zuma frog shooting at an innovative moving ball track. The ball track increments progressives and triggers one of five unique Power Frogs, which places wilds on the base game. Among four bonuses, there are two-tiered Boss Battles and optional skill elements – players can choose to Be the Frog by timing ball shots to defeat the bosses. With a copy of Bejeweled, PopCap’s flagship title, purchased somewhere in the world every 4.7 seconds, players will instantly recognize this global bestseller in its slot game form. Spielo International has adapted the original game mechanics to the slot adaptation, with a cascading matrix, buyable game boosts, and seven linked non-hierarchical progressives. 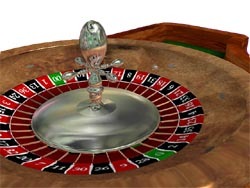 Players can select between three skilled and three random-outcome bonuses. Experienced Bejeweled casual game players will recognize the similarities in the slot adaptation, while players new to the game will quickly learn why the brand has been so successful. Visit Booth 1265 at G2E 2012 to see how PopCap’s universally beloved casual game brands are translating into Spielo International’s most entertaining titles to date. VNE – the number one manufacturer in the largest and most competitive market for change machines – namely in Italy – will be displaying two key solutions on the stand of their American partner – Coin Mechanism. Italy is the most important market in Europe for video lottery terminals (VLTs). VNE has amassed great experience in change requirements for this market. Queen Change machine is a change specifically designed for the VLT market. It has a PC platform, a thermal printer, one ticket and banknote acceptor and one Fujitsu dispenser banknote (5 cassettes for 5 different denomination of notes for a total capacity of 2,500 banknotes). 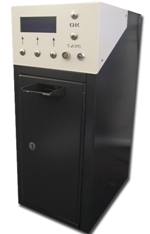 Three coin hoppers ensure that there is ample capacity for paying out different coin denominations. All VNE change machines can be remotely monitored – so operators have 24/7 real-time information of the money in and out. Furthermore, remote servicing ensures long-term customer satisfaction. Naturally the strong, solid and secure cabinet plays a major role in the VNE design. The Queen Change can be fixed securely in place either on a wall (by using the Blindo from VNE) or in any position by Heavy from VNE. Mr. Lorenzo Verona, Commercial Director at VNE, commented, “We have ideal solutions for the American market. Queen Change is perfect for the VLT market and the new TT has been particularly created for the US market. Our partner Coin Mechanisms looks forward to greeting visitors at the forthcoming G2E in Las Vegas”. ThinkManagement.com, the online gaming consultants, are warning that traditional online gaming companies are missing out by failing to recognise a new profile of target customers. Phil Shaw, of ThinkManagement.com states that a new breed of social gamer has emerged. He says: “More and more, we are seeing a different profile of person taking part in social games simply for entertainment. Instead of playing in online casinos for cash prizes, this new type of gamer is playing purely for “gamification” – rewards and status – and is likely to be someone who is just starting to experiment. Inspired Gaming Group announces today the appointment of Gerhard Burda as Non Executive Strategic Advisor. Mr Burda will be working with Inspired’s global leadership team to develop the company’s product offering and market penetration in strategic gaming regions. “Gerhard is a hugely respected and insightful industry leader, and we welcome his joining our team. His impressive gaming heritage, combined with his strategic insight, make him a valuable new member of our team”, said Luke Alvarez, CEO of Inspired Gaming Group. Following his eight years as a Managing Director and CEO of the German Atronic Group, Mr Burda spent three years as Senior Vice President at Gtech of Lottomatica. During this time the company entered new markets, such as the Italian AWP and VLT markets, and launched major new international products. Since leaving Lottomatica Mr Burda founded a think tank, called Escapes, focusing on new trends in gaming and the convergence of gaming spaces. A new fair on international amusement world: taht’s Atrax fair, and makes tremendous impact in its first year. Atrax 2012 is being organised in a strategical period when new searchs in entertainment business reachs the peak with generic projects and major investments. Atrax Fair to meet its esteemed visitors between the dates of Dec 6 – Dec 9 2012. 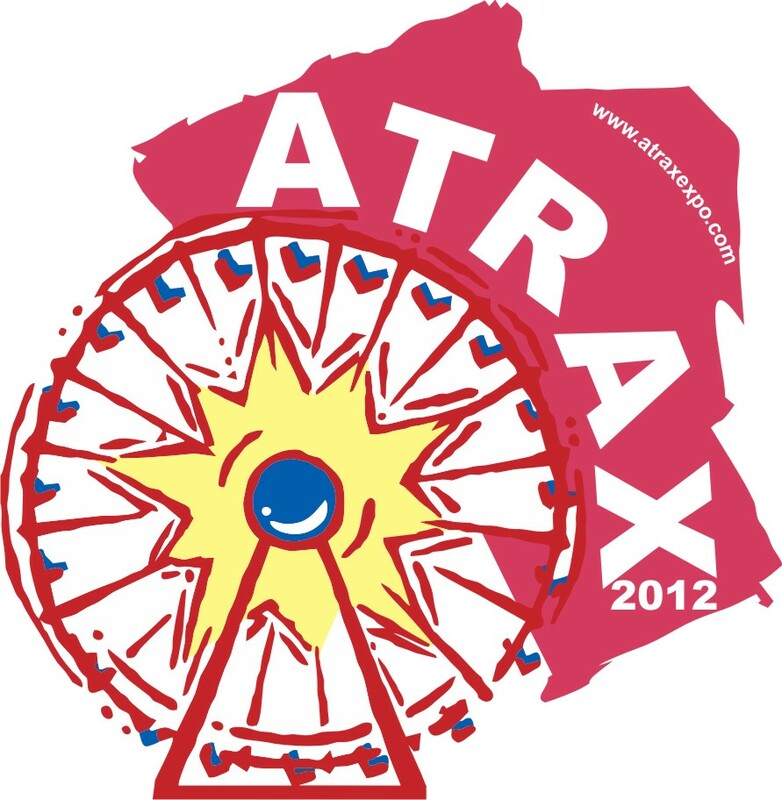 Atrax, as the one and only expertise fair in its segment will give a new impulse to the amusement business. Atrax 2012 so far has reached a record breaking participation level in international firms as well as preparing to host more international companies than national participants. Among approved participants are leading companies from Italy, Netherlands, Canada, Philippines, Spain, Egypt, Germany, United States, China, Korea, Taiwan, France, Hong Kong and the UK. While the international interest raises, local participants from amusement point of Turkey such as İstanbul, İzmir, Bursa, Antalya, Muğla and Ankara are on their way to Atrax 2012. The biggest exhibition stand in Atrax 2012 has been leased by the succeeded company “Balo Game Consoles” being followed by various international firms such as Sega, Namco, Dreampark, Polin, Vekoma, Spibox, Theme Builders, Embed, Techway, Pax, Eurocoin, Simulator Entertainment , Amf Bowling, Brunswick, Profab and Water Tech, and more. Spielo International is showing more entertaining games than ever before at the 2012 Global Gaming Expo (G2E) in Las Vegas. For the North American market, they include four exciting new licensed titles that casual gamers know and love, and that will be unveiled before the show. In addition, hot on the heels of the success of Deal or no deal™ Join’N Play®, Spielo International has amped up the deals and the excitement with Deal or no deal™ Join’N Play™ 2. The successor has all the features that players love – the time-based bonus, the player-friendly community aspect, the use of strategy, and the broad appeal to both entertainment-seekers and gamblers. In Deal or no deal Join’N Play 2, the game is now quicker, bigger, and better. The guaranteed bonus hits more frequently, every eight minutes, for even more excitement. It keeps the same stress-free eligibility and easy bonus qualification that thrilled players in the original. Mystery bonuses occur more frequently as well, including brand new free spins that sweeten the deal. Occasionally, the community bonus becomes a Super Bonus, where the top briefcases have their values doubled, leading to much larger banker’s offers and wins. This sequel is truly Spielo International’s biggest deal yet! Spielo International’s innovative new core games include 1421 Voyages of Zheng He™, where lucky eights are all around in this Asian-themed game. Featuring beautiful scenery and big win potential, this culturally-true 88 line game offers huge wins from stacked coin wild symbols and lots of player interaction and control through a player-selectable bonus feature. The gambler-friendly “all or nothing” feature offers the player a 1-in-3 chance of winning triple the ordinary bonus win. In Hawaiian Treasures™, players visit the Big Island to uncover unrivaled wonders and 243 Ways to Win. A volatile base game offers big win potential, and a Player’s Choice approach in the Free Games Bonus adds tension and excitement. Let the gypsy weave her intoxicating spell in Gypsy Moon™, where three or more Astro Sign symbols trigger the Gypsy Moon Free Game Bonus, awarding up to 600 Free Games with multipliers. Stacked Wilds and 243 Ways to Win, as well as the evolution of a proven player-friendly math model, offer magical win potential. But that’s only the beginning of Spielo International’s exciting content-driven solutions. Visit Booth 1265 at G2E 2012 to see much more, and find out how Spielo International speaks entertainment. There is a happy ending in the most complicated and fascinating event (if we want to say that) in the gaming world since the online poker burst as a worldwide phenomenon. The press release announcing the reaching of the agreement between PokerStars and the U.S. Justice Department is dated August 1 and it comes after a year and almost 4 months from the black friday of the U.S. online poker (it was April 16, 2011). The DOJ, together with the FBI, decided to block the room that operated without a license in the U.S. area. It was an unprecedented earthquake with millions of dollars blocked in the gaming accounts of the room and unreachable by players. Nevertheless PokerStars was able to refund in a few weeks its players. It will be a decisive move for overtaking in the following months the group of Bernard Tapie, the French magnate a little bit ‘quibbler’ that, in fact, will be dumped by the DoJ. All is into the hands of PokerStars because the money to reorganize Full Tilt had disappeared in the villas and bank accounts in offshore countries of the skilled creators of the Ponzi scheme. The money was in the pockets of Ray Bitar (ex ceo of Full Tilt) and then in the ones of Howard Lederer, Chris Ferguson and other less famous but even so accomplices and guilty actors of an unexpected coup de theater. The players was very very depressed by now, as even the World Series Of Poker 2012 were passing but there wasn’t any news on the case. And moreover ‘Stars’ was making luxurious investments in Spain and it seems to extremely takes up the funds of the room. The key of the success for the closing of the deal was the willingness of PokerStars to refund within a few months the players without loosing time. Time that Tapie was designed to make up to the lack of his personal fund much more lifeless than the giant of the Isle of Man. The DoJ did not want hybrid solutions or bonus. The money in the accounts within specified terms for players was indispensible. Only PokerStars could do it. So here is the announcement: “Full Tilt Poker is pleased to announce the end of the transaction with PokerStars and the U.S. Department of Justice, which will allow to all the American players to be paid. With the agreement the civil proceedings for confiscation carried out by the U.S. Department of Justice end”. On August 9 the official confirmation comes. PokerStars will pay around 731 million dollars within and it will be able to reopen the room FTP no longer November 6, 2012 . And there is a detail that must not be completely ignored: as part of the transaction, PokerStars is “explicitly authorized to offer gaming within the rules of the relevant gaming authorities of the United States and it can offer real money poker when it will be regulated by the government or by the federal states” . The new owner has ninety days “to provide for the immediate cash withdrawal of the settlements of the players in the poker online account of all the extra players of Full Tilt Group”. The ‘rest of the world’ receives 184 million through the Full Tilt Poker room. The patrimonial confiscation of laundered money will facilitate the compensation of the ‘victims’ through the restoration program Victim Asset Recovery Program. Over the next three years PokerStars will make further annual payments of 125 million, 100 and 97 millions to complete its financial obligations. In total, PokerStars has paid 731 millions dollars. They thought their money was lost, irrecoverable, they given up hopes. Even the appearance of a believable ‘actor’ as PokerStars. It seemed like science fiction. Gus Hansen has recovered 2.4 million dollars. Giampp alias Giampaolo Puglia who won one of the biggest online tournaments ever played will take 900 thousand banknotes. Then all the members, even those who had thousand euros that in these times change even small situations. We just have to wait for the conditions of payment. And the poker field will regain many bankroll. “I’m playing a lot more live and now I feel more comfortable,” affirmed Puglia to Gioconews.it on the spur of the moment. Justice is done. In spite of the shameless Ray Bitar.